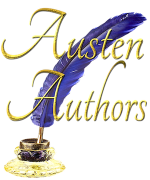 New Review of Darcy’s Honor at Austenesque Reviews! Meredith at Austenesque Reviews wrote an insightful review of Darcy’s Honor— up on the website now. ← Sign up for my Newsletter to Enter Amazon Gift Card Giveaway!